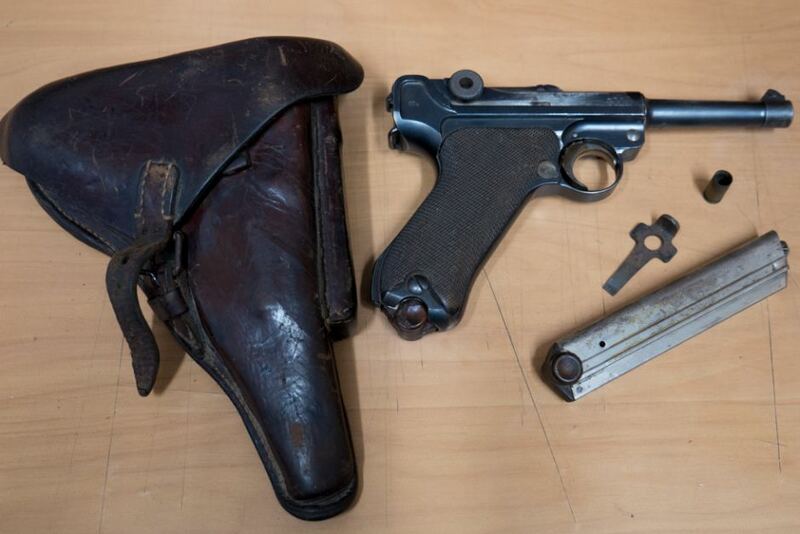 ^Don't know if I could bring myself to hand in a mint condition WWII Third Reich Luger. As it's apparent, I'm not a gun fan, but I appreciate the history around the older weapons. BTW, the article actually dates it a bit earlier then WWII, but definitely a Luger. a four-wheel drive in the Adelaide Hills. wheelwell where it attached itself to the suspension last weekend. It then found itself being driven for 16 kilometres through winding, hilly terrain. The driver was reportedly flagged down by other motorists but failed to find anything wrong. 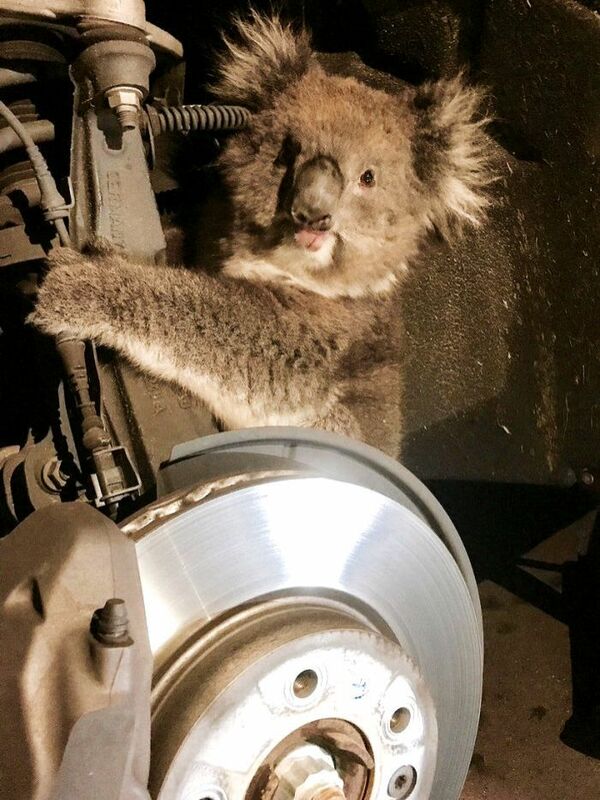 It was not until he stopped that he heard crying under the car and called the Koala Rescue Hotline. 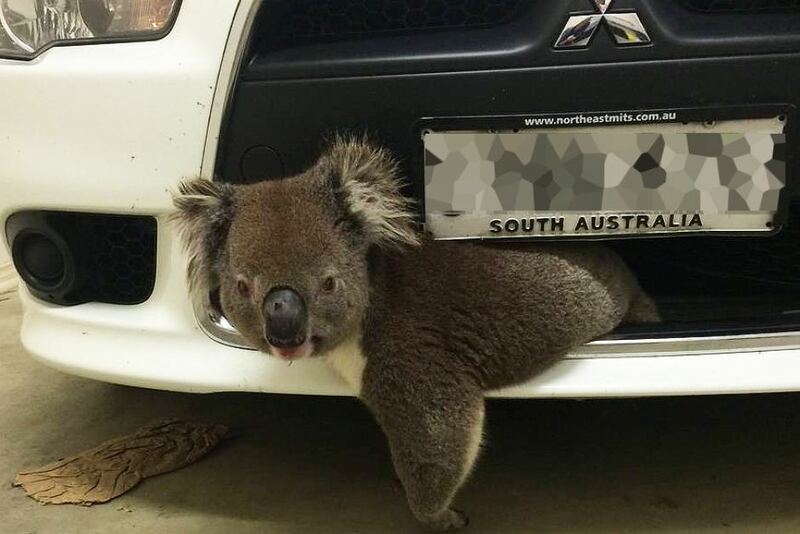 "Bear Grylls", an Adelaide Hills koala that survived being hit by a car at 100 kilometres per hour.It became stuck in the car's grille and was not discovered for another 10 kilometres later when the driver arrived home. Way to many Gum leaves, stoned off its face. ^ They couldn't make that up! A new spin on an old favourite? 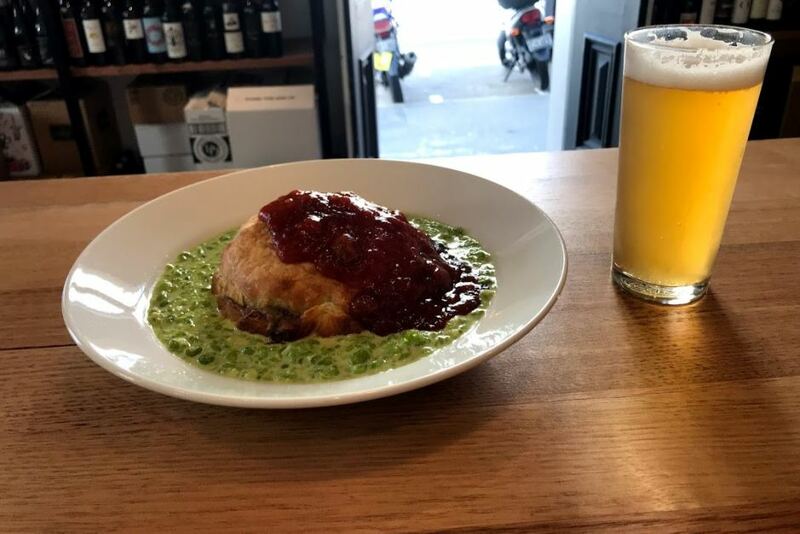 There is no doubt pie floater numbers have been in decline, but a devotee can still find the traditional fare on some bakery and pub menus. There are also new interpretations of the icon. Cameron has given it a modern twist and flavour profile. There's no off-cuts in this pie. Instead the floaters hold braised wagyu beef and the soup is traded for a pea puree. Mr Cameron reflected on why the pie floater has remained so popular. "It's a bit different for South Australians," he said. "I think because it's been here for such a long time, it's a nostalgic thing for a lot of people, it's a bit of a comfort food." with the first pie carts being licensed. it played during the depression, lining the stomachs of the unemployed. floater in the collective consciousness of the state. In the words of one Adelaide chef, "it's a labour of love ... that isn't going anywhere soon." BTW, I've never had one. Had a Pie and Peas @ the Footy ... but never a 'Floater'. 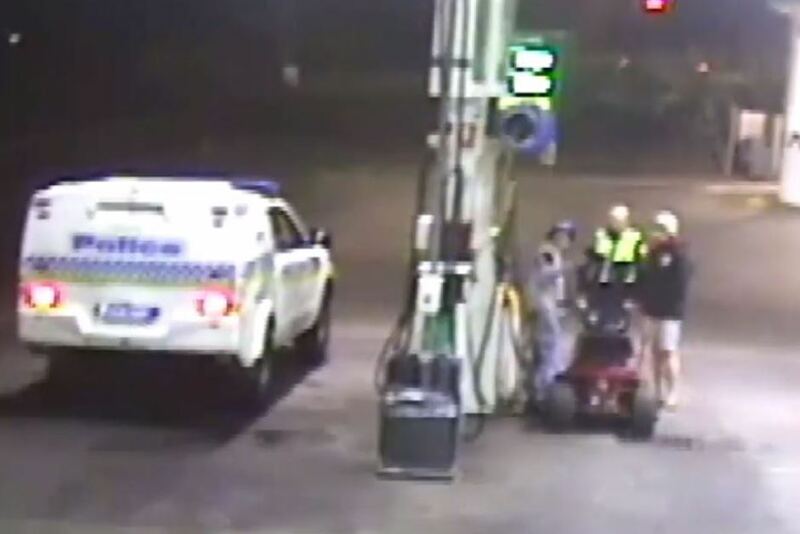 A man who drove a ride-on lawnmower into a service station for a refuelling has had his boozy jaunt cut short by Tasmanian police. CCTV footage of the man driving the ride-on mower into a Lindisfarne service station was posted on the police Facebook page. Just after midnight on Sunday, October 1, the unidentified man pulled up to a fuel bowser, with a second man accompanying him on foot close behind. Police officers then pull alongside them in a van. "Mate, we suggest getting a ride not a ride-on!" police wrote in their post. "Organising a designated driver does not mean John Deere." "Old mate was already on the gas when he decided to ride his lawnmower to his local service station to fill up." No sense of humour the cops! Some dill was caught riding his motorised Esky(like the one BLD has) way over the limit a while back in OZ,cops just love these easy collars. park of the Overlander Hotel in the early hours of Wednesday morning. 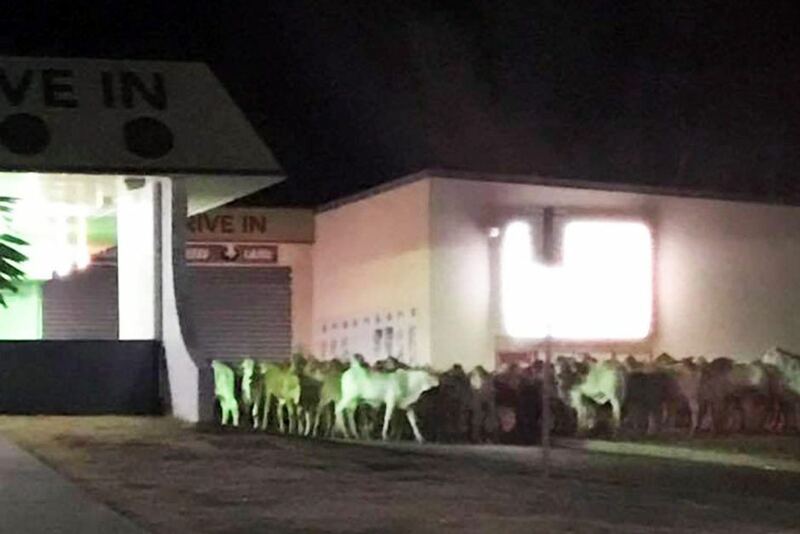 Overlander Hotel manager Chris Naumann said he found the cattle milling around hotel guest rooms about 4:30am. "They've eaten most of the grass around the venue, which is good for us — we don't have to mow today." to sleep on the roof of their car after a croc took an interest in their predicament. 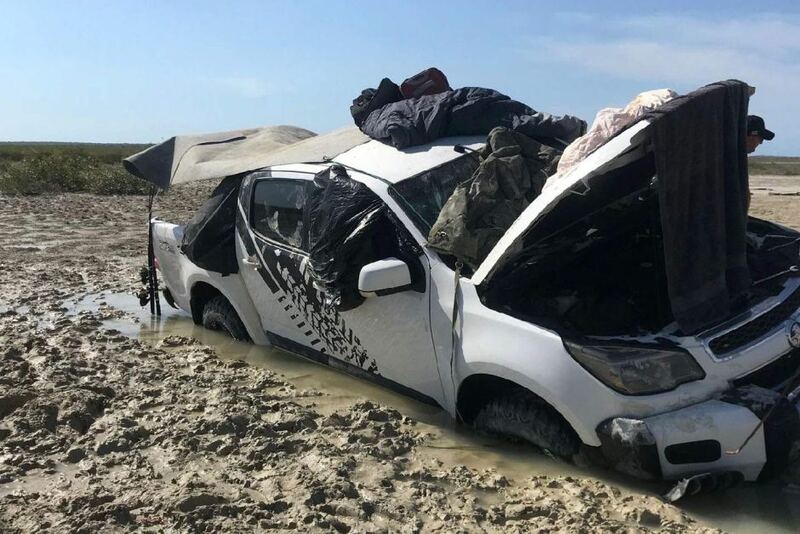 It is the fourth time this month motorists have hit trouble in the isolated Kimberley region and needed to be rescued. Tourists and locals are often caught out by the region's tides, which are among the biggest in the world, regularly reaching around nine metres. Trapped in the tidal zone, the men had to perch atop their vehicle as it was repeatedly inundated with sea water. They were constantly on the look out for crocodiles, who are known to be at their most active during this time of year. and Family First merger by Cory "The Rogue One" Bernardi and what possible impacts it may have on the electorate. "Spider lightning" is not a technical term but "refers to the way the lightning basically crawls across the sky", Mr Rowlands explained. "We have two types of lightning — cloud-to-ground lightning, and cloud-to-cloud lightning. "[The latter] is not your typical lightning that goes straight down to the ground — it's more contained within the cloud structure itself." 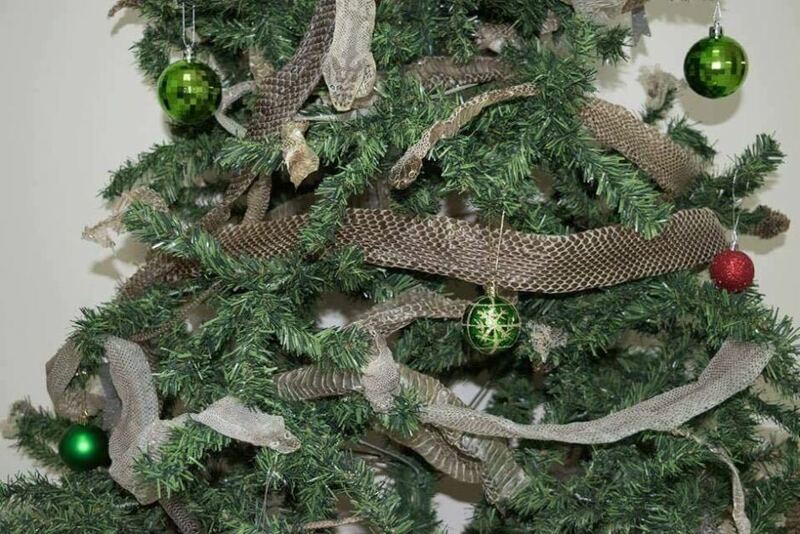 Skins from taipans, king browns and death adders adorn Stewart Lalor's tree. at its base every year. But not all trees are created equal. A handful of people have gone above and beyond in 2017 to bend the limits of creativity and, at times, part with tradition. 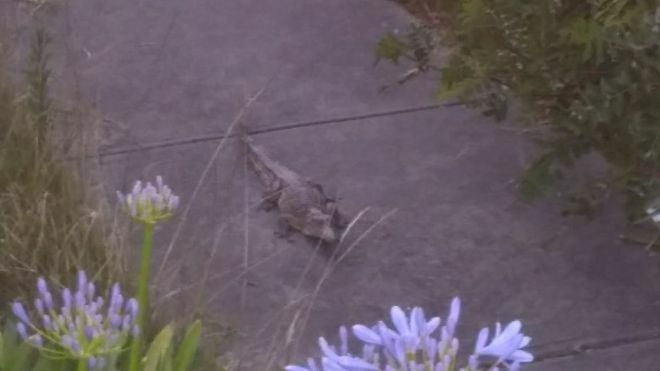 Australian police are looking for the owner of a small crocodile found wandering the streets of Melbourne on Christmas Day. Locals taking an evening stroll stumbled across the reptile outside a suburban business. 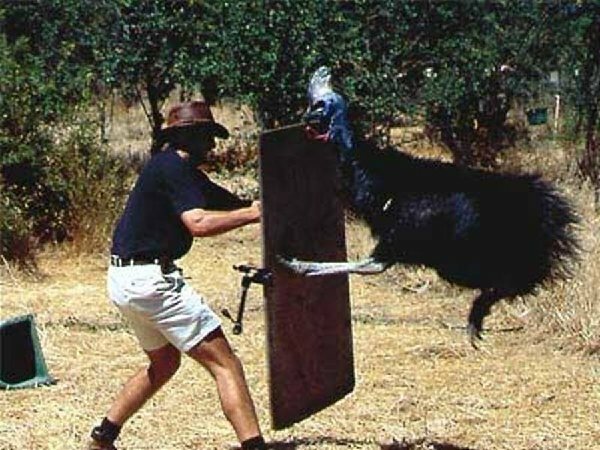 Victoria Police said they were initially sceptical and went to the scene expecting to find a large lizard. 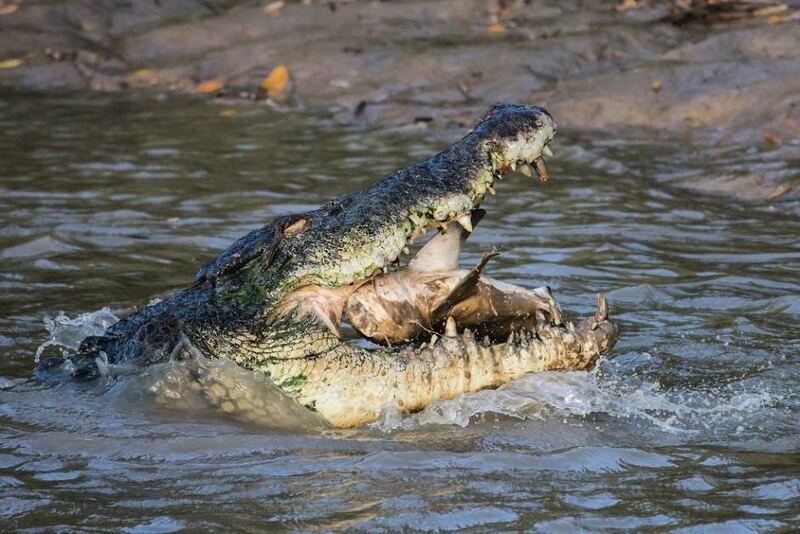 Instead they found a 1m (3.2ft) long freshwater crocodile "sitting quietly on the footpath". 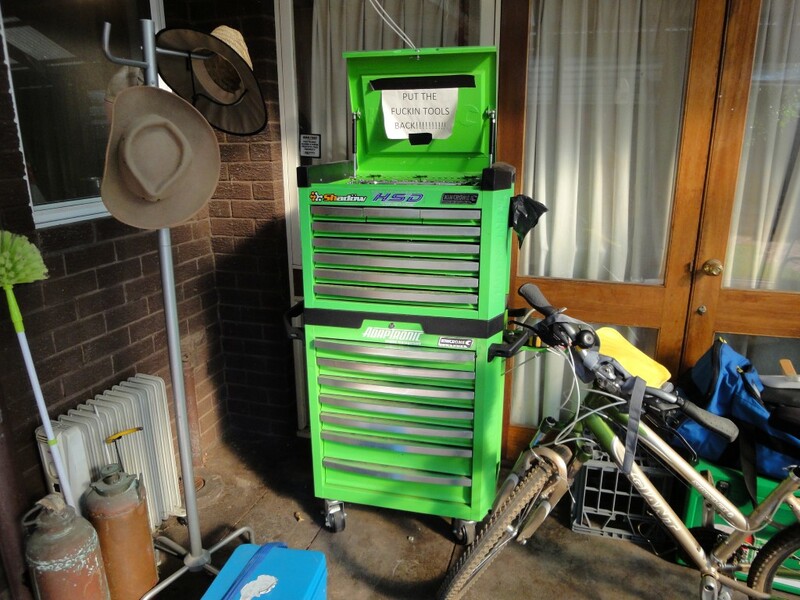 Snake catcher Mark Pelley was called on to handle the unusual Christmas find in the suburb of Heidelberg Heights. He said police called him that night saying: "There's a crocodile walking the streets and it's currently outside a medical centre." Mr Pelley told local radio station 3AW he rushed to the scene where he found "five police members being stared down by a decent-sized crocodile, about three and a half foot, and the crocodile wouldn't back down". The crocodile attempted to scamper off into the bushes but was caught by its tail and is now in the care of state wildlife authorities. "We're running on the presumption that it was a pet at some stage, it's a long way from any bodies of water," Acting Sergeant Daniel Elliott said on Tuesday. Pet owners in Victoria are allowed to keep crocodiles up to 2.5m in length. cornering the startled animal and taking it to a vet for a check-up. THE sight of a deadly brown snake eating a carpet python nearly its own size would be enough to give most people the creeps, but for snakecatchers Sally and Norman Hill it was a rare and fascinating display. The pair, who run N&S Snakecatching, were called to a home in the Ipswich suburb of Goodna west of Brisbane Monday afternoon to see the chilling sight. So ... who was here first? You don't realise just how big guys like Greg Inglis are until you see them next to mortals. Can't imaging having to tackle him coming at you at 10+ metres per second.